There are several key characteristics that define a Smart City, or a municipality that relies on data-driven decision making to optimize operational processes. And, while you’re likely already familiar with how data and the IoT can help improve public safety, reducing crime is merely one benefit of adopting “smart” solutions citywide. Cities are always looking to develop vacant land and grow their local economies. But determining which areas are optimal for business and economic development can be a risky, uncertain guessing game. 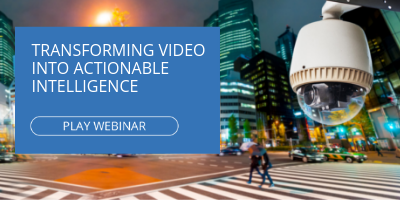 In Smart Cities, however, Video Contents Analytics (VCA) systems can help planners understand navigation and event trends, as well as pedestrian traffic patterns and demographics to help determine which sites are ripe for success. Using the same traffic data, VCA systems can also help city planners design better (and safer) pedestrian pathways and bike routes to minimize the risk of an accident and keep pedestrian traffic flowing. In situations where data reveals excessive and frequent traffic congestion, planners can develop strategies to expand roadways, adjust intersection light timing or improve public transport options to better optimize traffic flow. While this benefit ties in with public safety, it’s typically not the first thing that comes to mind when people immediately think of Smart City advantages. It’s especially helpful in cities that have large convention centers, sports stadiums, concert venues or other facilities that occasionally attract crowds. Before and after a football game, for instance, it is critical to maintain control of the tens of thousands of people entering and exiting the stadium. Using VCA systems, planners can help monitor entry and exit points and detect indicators of crowding. They can then proactively respond by opening more entry and exit points or deploying more personnel to direct traffic. Over time, with aggregated crowd behavioral data, cities can understand how different access points are used and predictively optimize entry and exit protocols to prevent overcrowding. Big Data can do more than just improve the quality of life for residents in a Smart City. It can also help bring more visitors to the city, which in turn can pump valuable dollars into the city’s local economy. Analyzing visitor demographic data based on AI-driven video analytics, planners can understand what draws tourists to the town and work with business owners and developers to enhance the overall visiting experience and drive strategic marketing initiatives to attract more visitors to the city. About 80,000 children are reported missing every year, and while the United States’ Amber Alert system has about a 20 percent success rate, Smart Cities can leverage technology and significantly increase the number of children who are successfully reunited with their parents. Today’s comprehensive Video Content Analytics systems feature rapid review and search features that can help analyze known details such as gender, vehicle types, colors and more to narrow down searches and quickly locate missing children. For instance, if a parent can describe what the child was wearing, a law enforcement operator can filter video objects based on the clothing attributes, such as shirt color, to quickly isolate al appearances of children wearing similar clothing. Some Smart Cities may even have the resources to use facial recognition to locate the child within video feeds or recordings. A final example of how Smart Cities can leverage Big Data is when it comes to improving roads, bridges and other infrastructure. City officials can gain a better understanding of the roads that are most frequently traveled, for example, and adjust repair and redevelopment schedules to ensure the accessibility and functionality of high traffic roads. Harnessing Big Data in this manner allows officials to more efficiently and effectively allocate money toward needed improvements and repairs. The mission of a Smart City is to improve the quality of life for residents – from increasing public safety to promoting sustainability and improving mobility. Driven by VCA technology and Big Data, Smart Cities can better serve and protect their residents and visitors based on actionable real-time intelligence. How is your city harnessing the data at its disposal for optimizing operational efficiency? For more about BriefCam software and technology, please click the image below.